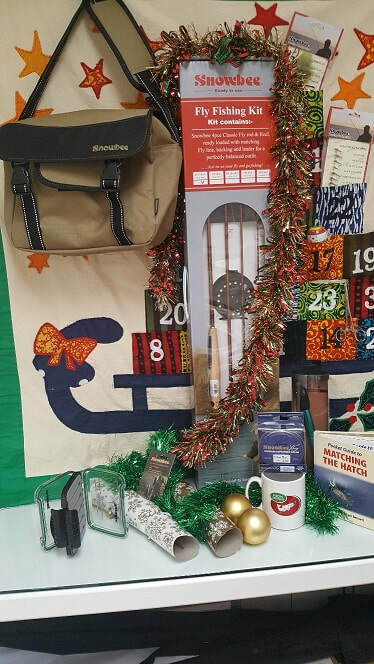 With Christmas around the corner now's a good time to think about what to buy for your nearest and dearest, Well, here at Meon Springs we've got a few ideas for the angler in your life. From those who are looking to take up the sport - to those who have bags full of tackle - we have ideas for everyone. If you're unsure, come and talk to us. We're always happy to give the best advice we can. All these items are 'Click and Collect' except the vouchers, which can be obtained online. 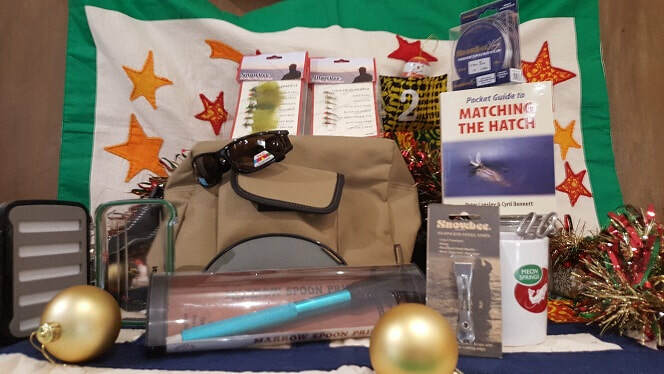 Pulled together by the fishery team, this bag of goodies will come in handy for any angler. This gift set is perfect for someone starting from scratch. A Snowbee Classic Trout Bag (small) to put everything in! 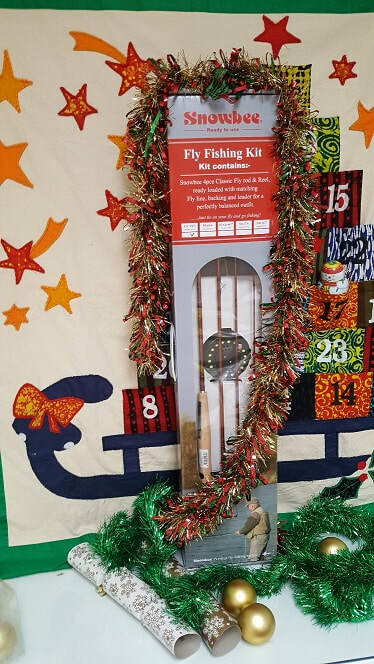 ​This a great rod to get anyone started in fly fishing - from juniors to those who are simply young at heart. It's got everything you need to get going - rod, reel, weight forward Snowbee line and a 9ft leader. All you have to do is tie a fly on and get fishing. These are so good we use them for all our fishing tuition - and they're also perfect for fly fishing at Meon Springs. Combine the Fly Fishing Starter bag and the Snowbee Classic Fly Fishing Kit. ​And if you want the whole package, throw in a Meon Springs Fly Fishing Experience Day.